Part 1 examined the history and purpose of the US Constitution‘s Origination Clause. Part 2 introduced the Senate practice of “gut and replace” that pretends to comply with the Origination Clause. This article explains why “gut and replace” violates the Constitution. To create an institutional protection for citizens against onerous taxation. 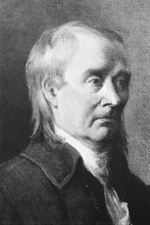 To balance the interests of the large and small states as part of the “Great Compromise”, proposed by Roger Sherman of Connecticut during the 1787 Constitutional Convention. The institutional protection for citizens against taxes was giving the power to introduce tax bills to the House of Representatives, whose members represented the smallest number of voters and were elected to the shortest terms. The interests of the states were balanced by giving the privilege of introducing tax bills to the House, where the large states have the most representatives and by giving the ability to propose or amend House revenue bills to the Senate, where the small states have equal representation. The idea that those closest to the people and facing election most often would make those members the most responsible when it came to generating revenue was a sound one, grounded not just in theory, but in historical practice in England and the colonies. Politicians however tend to gather power and taxation is the greatest power government possesses. The Senate established a method that pretends to honor the limits of the Origination Clause, while in reality the Senate creates its own revenue bills. The process is called “gut and replace”. Relying on the Rulemaking Clause, as a practical matter, the Senate originates “bills to raise revenue”. Employing “gut and replace”, the Senate takes a House originated revenue bill, removes all of the House language, keeps the House designated bill number and replaces the language with the Senate’s language. A legal fiction is created to avoid the commands of the Origination Clause. The Constitution, at its heart, is a power of attorney, where the people are the master and grant specific authority to their servant, the government. An overriding principle of a power of attorney is that the servant has a fiduciary duty to the master. The master grants specific authority for a specific purpose and may place limits on that authority. The servant’s duty is to exercise the authority within its limits to achieve the purpose of the master. The Constitution’s purpose is to establish a government to protect the natural rights of the people as outlined in the Declaration of Independence. The government’s duty is to fulfill that purpose by exercising the authority granted by the people within constitutional limits. These core principles are critical in thinking about the Rulemaking and Origination Clauses. There are basic rules involved in reading powers of attorney and other legal documents to determine meaning. The Federalist Papers and proponents of ratification relied upon such rules when explaining the Constitution during the Ratification process. Members of the state ratifying conventions relied upon these rules in voting on the Constitution. Examples of such rules are: “a servant’s power is limited to that granted by the master”, “a grant of authority is further limited by language regarding that authority later in the document”, “no word in a document is without meaning”, or “a document is to be read to fulfill its purpose”. Such rules are to be kept in mind when reading the Constitution and its parts such as the Rulemaking and Origination Clauses. ·Since the Origination Clause (a limitation) appears after the Rulemaking Clause (a grant of authority) it is a specific limitation on Rulemaking. ·The phrase: “All bills for raising revenue shall originate in the House of Representatives…” is specific language limiting Rulemaking. ·The phrase: “… but the Senate may propose or concur with amendments …” is another specific limit on Rulemaking. ·The phrase: “…as on other bills” is a further limit on the Senate rulemaking, because the Senate is without power to add revenue amendments to other bills. ·Senate Rules developed the “gut and replace” practice. ·Gut and replace” gives the Senate the practical ability to originate a “bill for raising revenue” and amending a House-originated bill to add revenue is beyond the Senate’s authority “as on other bills”. The Senate rule of “gut and replace” frustrates the purpose of the Origination Clause to place responsibility for taxes squarely upon the representatives closest to the people with the most frequent elections. The Senate rule allowing “gut and replace” makes the language of the Origination Clause meaningless and no word in the Constitution is to be without meaning. Such would be the case of any law passed in violation of the Origination Clause, as was the Affordable Care Act (Obamacare). Paul Kamenar, an attorney who represents 40 Members of the House in supporting an Origination Clause challenge to the Affordable Care Act (Obamacare) discussed the clause and the case on Constitutionally Speaking. The Origination Clause is probably unknown to most Americans, but should be understood, because two cases Sissel v. HHS and Hotze v. Sebelius are working their way towards the Supreme Court. These cases may result in the entire Affordable Care Act (Obamacare) being declared in violation of the Origination Clause and unconstitutional. “Revenue” is the language of the Constitution, and over time the courts have limited application of the Origination Clause by different designations of government collections as fines, fees, penalties or taxes. Most people, not lawyers or legislators would think of any mandatory revenue collection by government as a “tax”. The House of Representatives has the most members (currently fixed at 435) and those members are divided among the states according to population. Each state has two Senators regardless of population. Most people, again, other than lawyers and legislators, would believe a law passed after being “gutted and replaced” by the Senate would have “originated” in the Senate. The reference to master/servant is a phrase from a bygone age. More modern language talks of principal/agent. It is more satisfying to use master/servant in the context of the relationship of people/government. A “fiduciary” is a person in whom is placed the utmost trust and confidence to manage and protect property or money. The duties of a fiduciary include loyalty and reasonable care of the assets within his custody. A fiduciary’s actions are performed for the advantage of the beneficiary. The agent appointed by a power of attorney agreement is a fiduciary. These principles are often referred to as “rules of construction”. They are used to determine what was meant by someone who created a document such as a will, a power of attorney, a contract, a law or a constitution. These are paraphrased examples to make the essence clear. Rules such as these developed over hundreds of years and remain in use today. The Constitution’s overriding purpose is securing the rights of the people while limiting the authority of the government. The Origination Clause furthers that purpose by limiting the institution of tax plans to that part of the government designed to be most responsive to the people. Despite the authority for each house to make rules on how to proceed, neither house can make a rule that allows revenue bills to originate in the Senate. The Supreme Court, in one of the few cases in which it has considered the Origination Clause, approved a Senate amendment to a House revenue bill because the amendment was “germane” or relevant to the original House bill. Because of the limits of the first phrase of the Origination Clause.